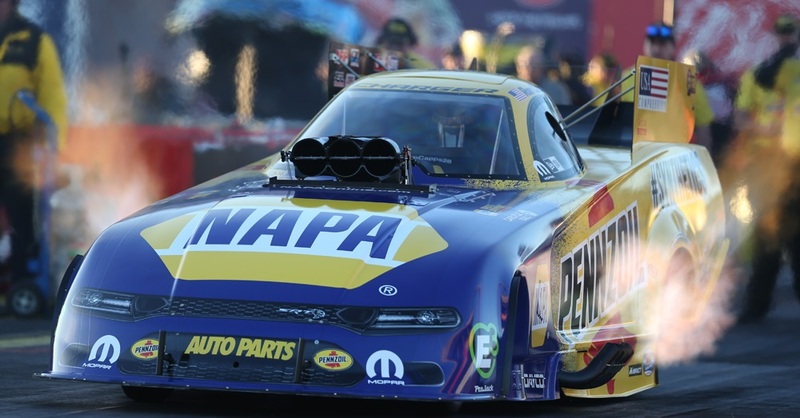 Ron Capps drives the NAPA Funny Car in the NHRA Mello Yello Drag Racing Series. 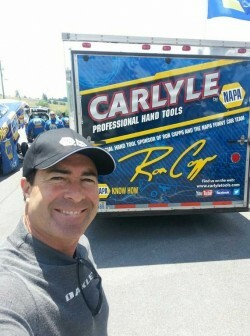 For our “Catching up with Capps” column, Ron sends us occasional updates on his life as a professional racing driver from his own unique perspective. 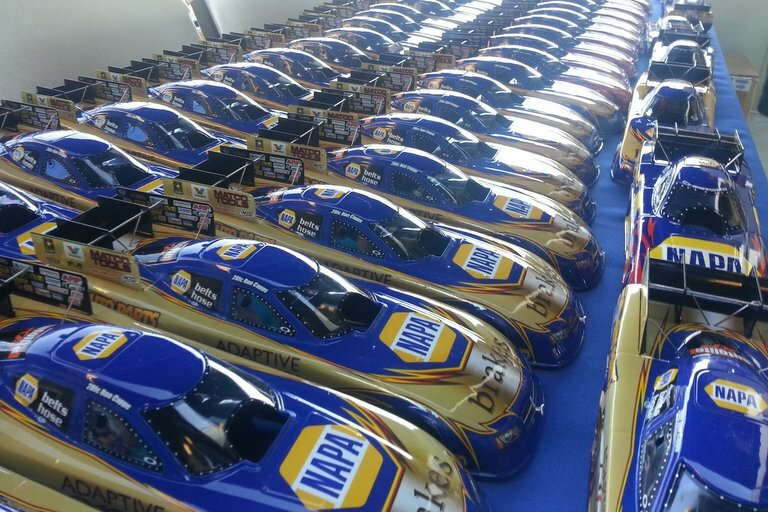 Breathe… breathe… That is what a bunch of the NHRA teams are saying right about now. Believe me. We are just leaving the race in Chicago and about to go to Norwalk for what is the 4th of a four race jaunt or, as some have called it, the “East Coast Swing”. 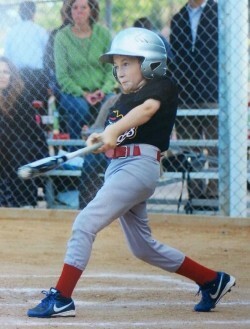 Let me back up a little before talking about last weekend. As we left Topeka and headed to Englishtown our NAPA boys made a quick stop at our DSR headquarters and had a new front half put on our chassis. We expected to have a long Sunday there in E-town, but crew chief Rahn Tobler and the guys fought a tricky problem during qualifying. It ended up being some small particles that got into our timing system. By the time we found it and cleaned it out, qualifying was over and we lost a close first-round race to Cruz Pedregon. We felt much better heading to Bristol and it showed. Rahn had our NAPA AUTO PARTS team firing on all 8 and we had a great car in qualifying. Unfortunately, we had a throttle cable piece break when I hit the gas on Sunday and we were done for the day. 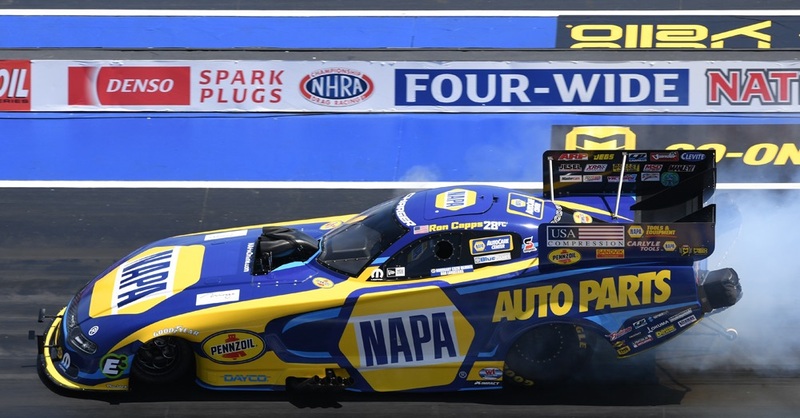 The race in Epping, NH, was one that all of the teams had been looking forward to since NHRA announced it last year; it did not disappoint. The folks from NAPA in that area were just as pumped up as the racing teams there. 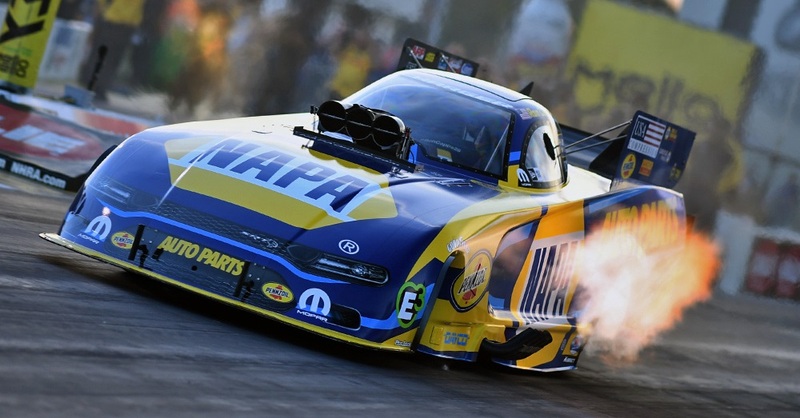 They had a full week of activities for me and everyone out at the dragway: local store owners, NAPA Auto Care Center people and our wonderful customers. We had a function at Fenway Park (my first time there), got a special tour of Sam Adams brewery, had an appearance with our racecar on display at the legendary Bentley’s Saloon and ended the week by playing golf with the NAPA peeps in Kennebunkport at one of the oldest courses in the U.S. The track was great, the fans were even better and we made it to the semifinals. I spent my birthday on the road, so I was looking forward to getting home to be able to celebrate that and belated a Father’s Day at home. With Caden just finishing a great season of little league, it was nice to be home for a couple of days prior to the Chicago race. Most of you know that wrestling was my favorite of all the sports growing up. My Dad’s passion for Judo when I was younger was important as well. So it goes without saying that I am a huge MMA and UFC fan and as soon as baseball was over I had Caden at our nearby Team Quest with the great UFC and former PRIDE fighter Sokoudjou and his coaches. The month of July is my favorite time of the year, mainly because both Taylor and Caden’s birthdays are in July. If you follow my Twitter, Facebook posts and this blog you know that we make our annual trip up to the central coast of California to San Luis Obispo after the Norwalk race. We hit Lake Nacimiento for a week, then drive the RV down to the Pismo Beach RV resort and spend a week there while I fly up to Denver for our race. Then, it’s back to Santa Maria with AJ and his friends on Air Johnson with the winners of the Blaine Johnson charity event auction every year. The flight home is without a doubt the most fun part of the weekend. 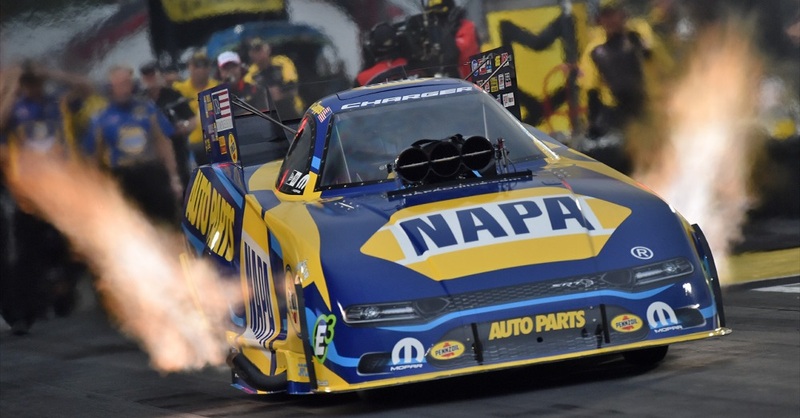 Well, to say we had a good weekend in Chicago would be an understatement as Tobler and JC got more comfortable with our NAPA Batteries/ Intrepid Fallen Heroes racecar and put a great 3.98 @ 320 MPH run under me. We set low ET of the race and snagged the pole position. It would have been a perfect weekend, but unfortunately we lost in the semifinals. We get to run the same special Intrepid Fallen Heroes paint scheme again in Norwalk and we are hoping to get it into the winners circle this year. As usual, there is a bunch of really cool stuff coming up, one of which is a special off road race called TerraCross that another NHRA driver and I will compete in. It’s on Friday at noon of our race in Brainerd, MN. 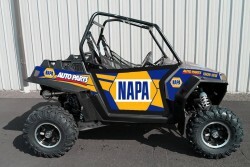 NAPA is putting together a special Polaris for me to race on a special track that will be located just inside of the Zoo. It should be fun! 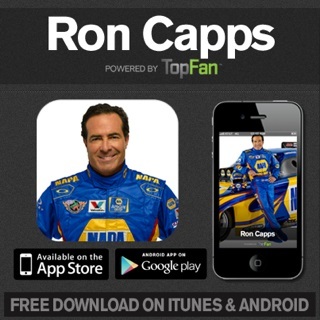 Remember to download our Ron Capps App available on iTunes or Google play for your phone and/or tablet. Follow me and our team on and off the NHRA trail and win some very cool collectible stuff from me!